Probate and estate administration are the processes through which estate assets are transferred after death. When probate avoidance planning has not been implemented prior to death, Michigan will require a probate court proceeding if the deceased was a resident or owned assets in the state. Probate can be supervised or unsupervised. In an unsupervised probate, the appointed estate administrator manages assets, pays any debts, files required tax returns and various court documents, and distributes the estate assets. However, the court may at any time require the process to be supervised (usually when someone expresses concern about the estate administration). In a supervised probate, the probate judge must approve every detail of the estate administration. Adding another person to your assets as a joint owner or "joint tenant with rights of survivorship" will allow your property to pass to them upon your death without going through probate. There are pitfalls to this strategy, however, which include subjecting the assets to any claims (such as lawsuits) against the co-owner and making them available to the co-owner's creditors — all while you are still alive and planning on using the assets yourself. Michigan allows Transfer on Death (TOD) or Pay on Death (POD) beneficiary designations to be added to bank accounts. Beneficiary designations like these are preferable to joint tenancy in that they allow you to transfer property only upon your death without giving away current ownership. One of the drawbacks, however, is that it can be difficult to obtain an equitable distribution of property among your heirs by utilizing beneficiary designations. Additionally, understand that if you have beneficiaries listed on your assets, those assets will be distributed upon your death to the listed beneficiaries, even if your last will and testament states otherwise. A Revocable Living Trust is a legal document that allows you to establish a separate entity (the trust) to "hold" legal title to your assets while you are alive, and to name trustees to manage those assets according to the trust terms. Typically, you serve as the trustee while you are alive, managing your assets for your own benefit. Upon your disability or death, the trust terms appoint your successor trustee who then continues to manage — or distribute — the assets held in trust. A properly drafted trust can accomplish many goals, including guardianship and probate avoidance for your estate as well as bloodline, marital and creditor protection for your children. A properly drafted and funded trust will generally avoid probate. The trust need not be filed with the probate court. 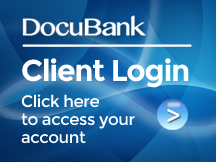 Nonetheless, there are still steps necessary to administer the trust: beneficiaries must be contacted; assets must be gathered, valued and managed; potential creditors must be notified; debts, taxes and final expenses must be paid; and, ultimately, any remaining income and assets must be distributed in compliance with the trust terms. Successor trustees often lack the time, resources or knowledge to personally administer the trust, and therefore may call upon legal, accounting and investment professionals for assistance. Oftentimes, a corporate fiduciary (e.g., a trust company) is an excellent alternative to relying solely on busy family members or friends to serve as trustee. Whether you need assistance with trust administration or the probate process, we can help. 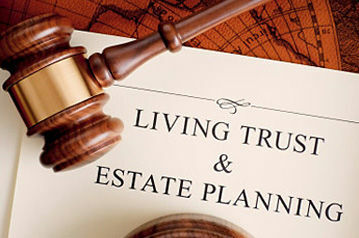 Interestingly, you do not need to use the attorney who drafted your loved one's will or trust to settle an estate. Instead, it is most important to pick an attorney experienced in estate administration and probate. We concentrate our practice in Southeast Michigan, but have successfully aided clients throughout the state. Please call our office and we will be happy to schedule a consultation, whether or not our office has drafted the original will or trust.